Run Helen Run – What is Style? I made a pact with myself in 2013 that I would run a different half marathon every year. It may have sounded a good idea at the time; but the way my body is feeling today, – I am wondering was it? Having run the Auckland Half Marathon about 5 times – I wanted a change of scene and a new challenge. I had run a fairly respectable time in 2013 and felt that I wanted to go out on top. So in 2014 I ran the Queenstown Half marathon in rather cold and rainy conditions and did ok. Then in 2015 I ran the Sydney Half Marathon in slightly wet, not so cold drizzle but was a fun run (as not many hills). 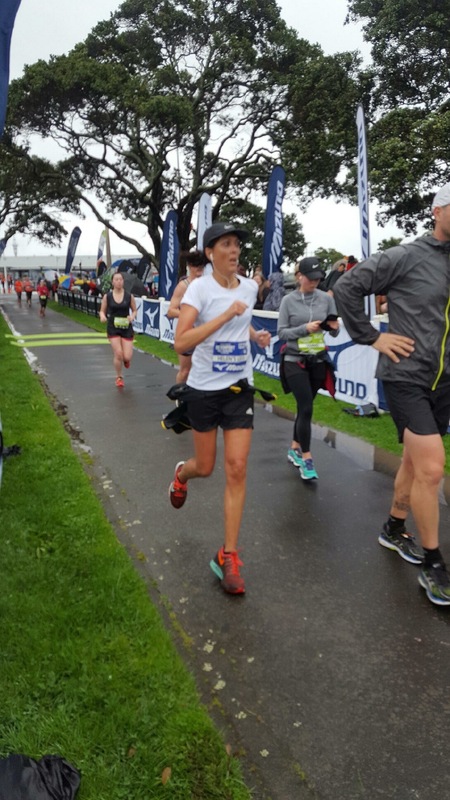 Over the weekend I ran the Devonport Half Marathon in torrential rain, mud and blustery winds (with one big hill – North Head). Having not done much training didn’t help. It was so wet this winter, it was hard to get out of bed and I got sick a couple of times – however no excuses! I survived. For some reason, it hasn’t put me off thinking about where I might run next year? Somewhere with sun perhaps or go to London, Paris or New York where I can combine my two loves being running and shopping. I ran a disappointing time on Sunday. However, given the conditions I’m not sure anyone (other than a duck) who could have swum the course in lightening speed would have been too fast. They say it is the journey not the destination. I enjoyed the scenery, running up North Head was pretty awesome; and of course getting over the finish line in my muddy shoes, drenched body and achy limbs was so much fun. Bring on next year. Your Sunday sounds so relaxing compared to mine. Thinking about running Gold Coast next year – perhaps you could come along and by my supporter (only if not raining of course). Body feeling good today and nearly back to normal. YEAH. I’ll let you know – fingers crossed it’ll be fine weather. Well done Helen. You seem to have had a lot of wet half marathons. There is a good half marathon in Melbourne. I have walked it while Dave ran. It is a flat course.Look forward to catching up next time you are down here.